If you are tired of dirty and dusty drapes or Window Blinds that are just old and inefficient, then you may want to consider replacing them with new window blinds. Window blinds offer an affordable and easy way to spruce up any room or office. There is a wide selection to choose from that will certainly match your style and fit within your budget. Since most people usually do not plan in advance to replace window blinds, it is important to determine a budget when shopping for new ones. The first thing you will have to do in order to get new blinds is to take accurate measurements of each window. If you don't feel comfortable doing the measurements yourself, then you can always hire a professional to do it for you. 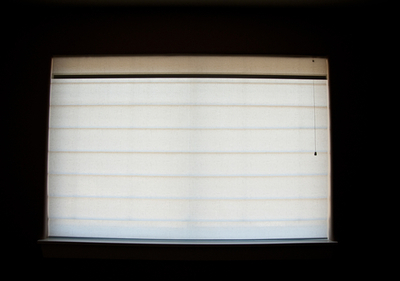 However if you decide to measure and install the blind yourself make sure that you take precise measurements and do a double or triple check to make sure you do not purchase blinds that do not fit perfectly and waste time and money. There are several styles to choose from when it comes to choosing a style that fits your budget. Some popular examples are: natural woven shades, Roman shade, or cellular shade. There are also a variety of brands to choose from. Natural woven shades help add an aesthetic appeal and helps keep out drafts which is helpful on cold nights. Roman shades have a classy appeal and tend to look more like drapes. However, they combine this classic look with modern technology and more durability. Cellular shades have the ability to block nearly 100% of all UV light that enters your windows. There are also helpful to block out drafts and resist dust. This type of shades last a long time, and require little maintenance. If you decide to buy natural woven shades, several models come with a natural wood finish and they are also offered in a wide range of white tones. Roman and cellular shades are offered in hundreds of colors as well as variety of styles and patterns, prints, and decorative embellishments. Several shades are offered by special feature such as if you need to cover a custom-designed window or door. No matter the amount of your budget, finding the right window shades is easy and affordable. Once you have decided on the style, color, and any other features that you require for your window treatment, you can easily shop online and compare prices. Most websites that sell window blinds allow you to enter your window measurements into a field, select control options and mounting type, and calculate prices for you automatically. This feature will allow you to compare prices on a wide variety of window shades that fit your budget. After determining your budget, it is quite easy to add style and value to your home by adding a decorative accent to your home with a new window treatment. Arjay’s Window Fashions is a provider of high-quality window coverings in Southern California and their professional staff can help you find the right window shades will that look perfect in your home.